Oil on hardboard, 5" x 7"
I wanted to make this little painting sing with color and light. 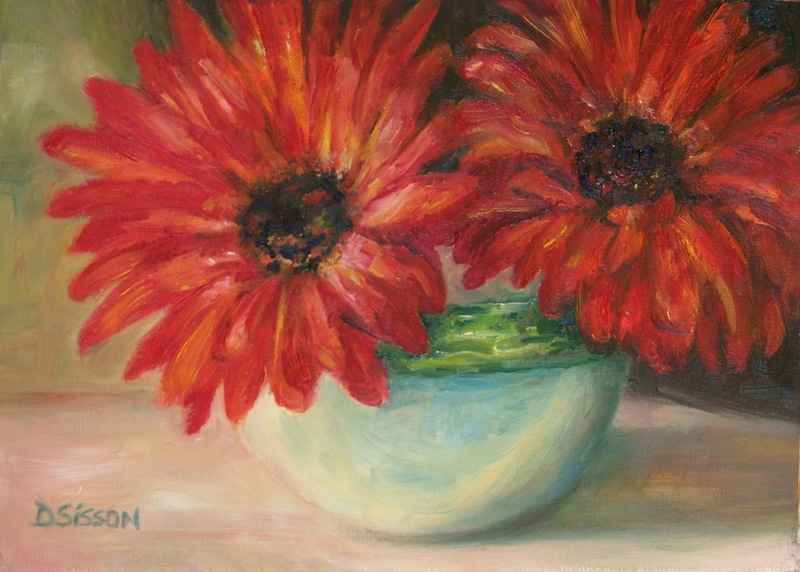 The red Gerberas may have started out to be the "stars", but the bowl actually seemed more interesting when I applied thick bands of color with a palette knife to its rim. Gerberas are some of my favorite flowers to paint. I wish I could keep them growing inside during the cold seasons.